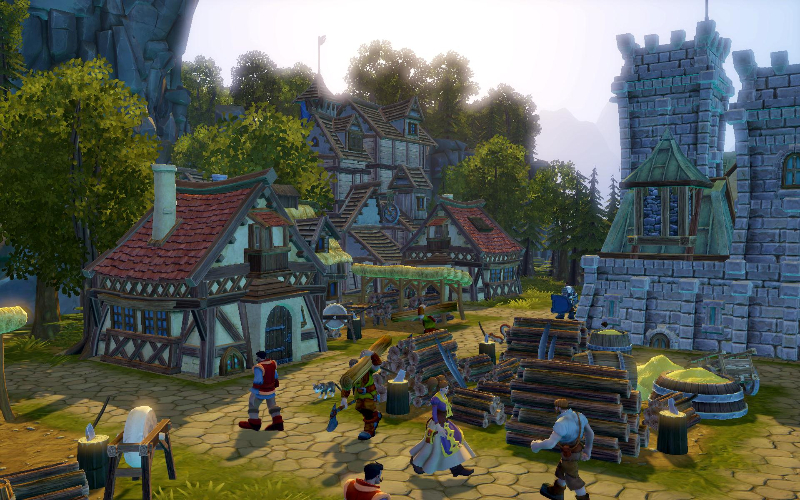 The Settlers: Kingdoms of Anteria is an action-RPG crossed with an RTS city-builder. 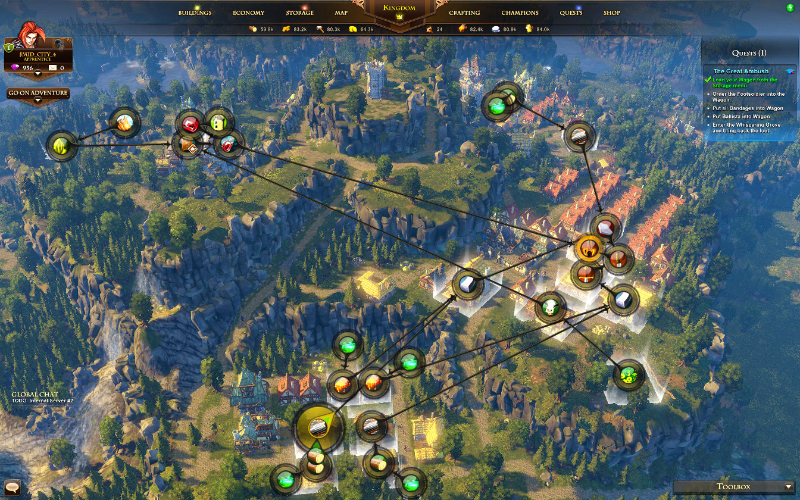 Up to four players can cooperate to take down challenges and build of settlements. It features economic development and macro-management, in addition to fast-paced RPG gameplay with treasure hunting and challenging boss fights. Four-Player Co-op: Play the game with up to four of your friends, as individual heroes focusing on various aspects of the game. One player can do city management and focus on strategy, while others go out into the world to slay monsters and secure loot for the kingdom. 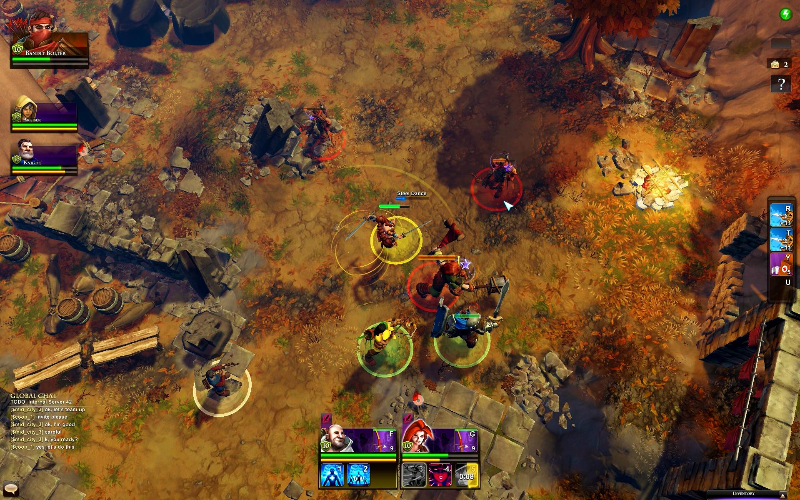 Bosses and Loot: Players can venture out from cities to engage in serious tactical boss fights to secure loot and artifacts for their kingdom. Fights are challenging, but the rewards are substantial. City-Building: Roads and infrastructure, civic buildings, residences, and more will grow as you plan out your settlements to grow into full-fledged kingdoms and bustling cities. 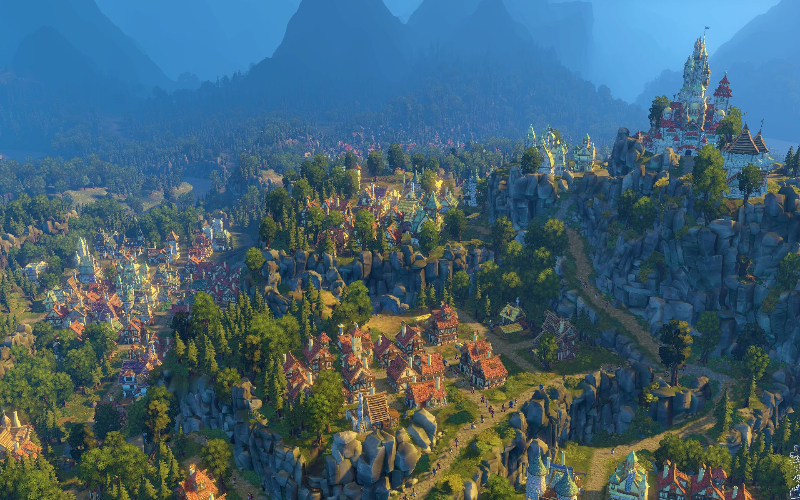 This aspect of the gameplay takes cues from the classic Settlers series. 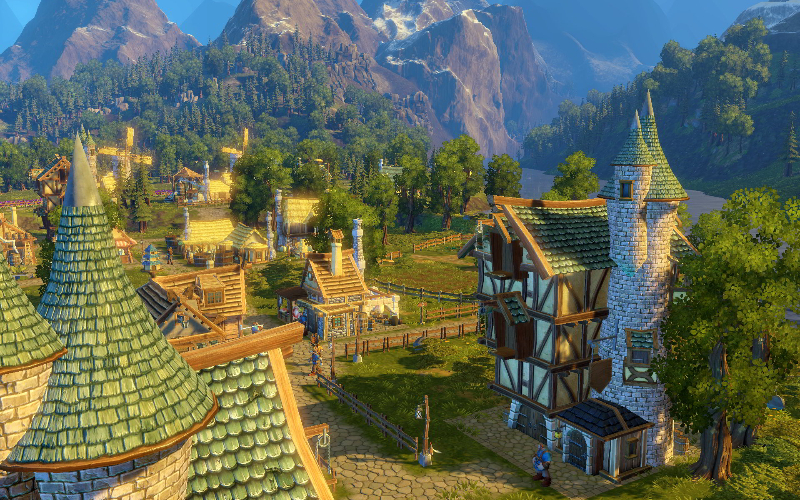 This video is an announcement trailer for The Settlers: Kingdoms of Anteria. It is primarily cinematic.